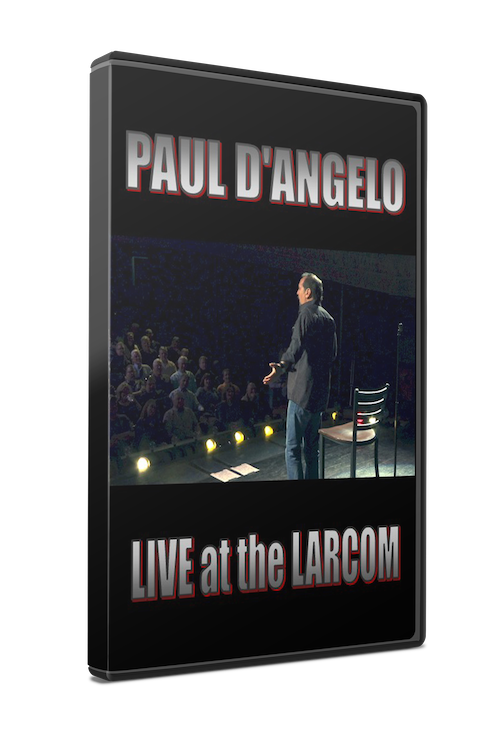 Stand-Up Comedian Paul D’Angelo’s ‘Live at the Larcom’ was recorded at the beautiful Larcom Theatre in Beverly, Massachusetts on April 19, 2014. 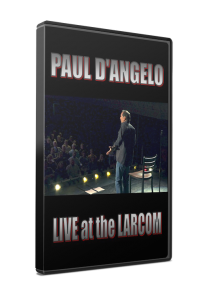 Paul’s 2nd DVD release complements his critically acclaimed DVD debut, ‘Court Jester,’ with all different material. The video was directed and edited by Bob Lewis. The audio was engineered by Douglas Stevens, AKA ‘Red Peters,’ of Handsome Brothers Music. Joe Forte was the Director of Photography, along with cameramen Nick Kolinsky & Robin Shahid.